The most anticipated and much awaited movie of the year will come to big screen four days from now and I'm sure everyone is so excited to see this epic battle- Batman v Superman: Dawn of Justice. Before the launching date on cinemas, big brands joined in the promotion of this movie and culminated different activities for all the fans. The epic action adventure features the much-awaited battle between the world’s most iconic Super Heroes in their first-ever big screen pairing. Adding to the excitement, Energizer will launch a promotional activity featuring limited edition Superman, Batman and WonderWoman-inspired collectibles. The company’s partnership with Warner Bros. Pictures made it possible for Energizer to share positiveenergy with the Filipino customers, who are fans of the famous Super Heroes as well. 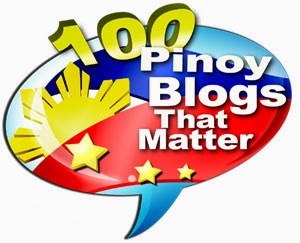 This new perspective gives Energizer more reasons to share positivenergy to the Filipino consumers. 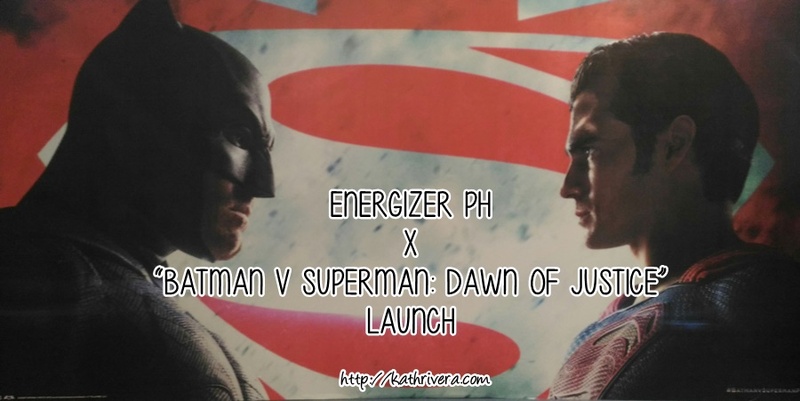 Just like these legendary DC Comics characters, Energizer is also powered to bring to life the battery-operated gadgets owned by Filipinos for a more convenient and entertaining life and it's like positivenergy beyond borders! 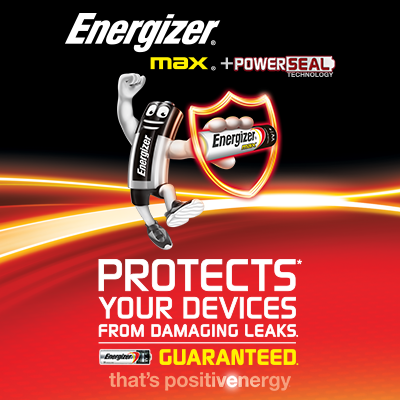 Energizer® Max® batteries, which deliver dependable and powerful performance. The Energizer® Max® AA batteries now powers devices for 35 percent longer than the previous version. What’s more, it helps protect devices from leakage in climate-controlled environments, and holds power by up to 10 years in storage. 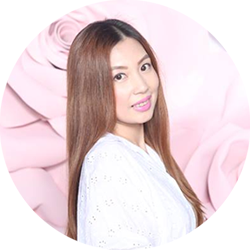 By using the Energizer® Max® batteries, families can now enjoy their battery-operated gadgets longer said Claire Guevarra, Senior Brand Manager of Energizer Philippines. 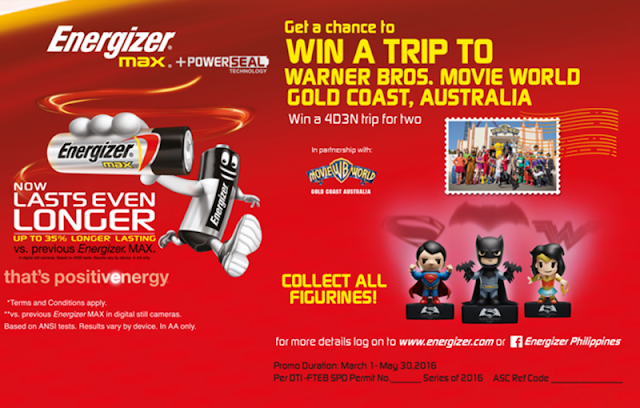 Aside from the collectibles, Energizer is also giving fans a full Batman v Superman: Dawn of Justice movie experience by bringing one lucky winner and his or her loved one to Australia through its ‘Trip to Australia’ promotion. 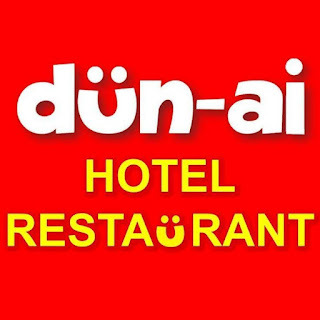 This promo is for 4 days and 3 nights that includes airfare, hotel accommodation, pocket money and two entrance passes to Warner Bros. Movie World. All you have to do is purchase any Energizer product, take a photo of the receipt together with the product purchased and fill up the entry form found in Energizer's Facebook page or website.